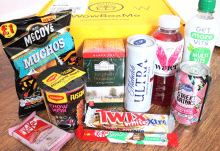 If you’re on a budget and enjoy trying out new food and drink, WowBoxMe offers a monthly subscription box to please the whole family. 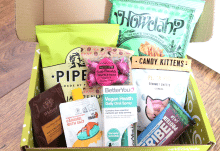 They have two types of subscription box available; an alcoholic box which costs £9.99 and a non-alcoholic box that’s £6.99 per month (plus postage fees). 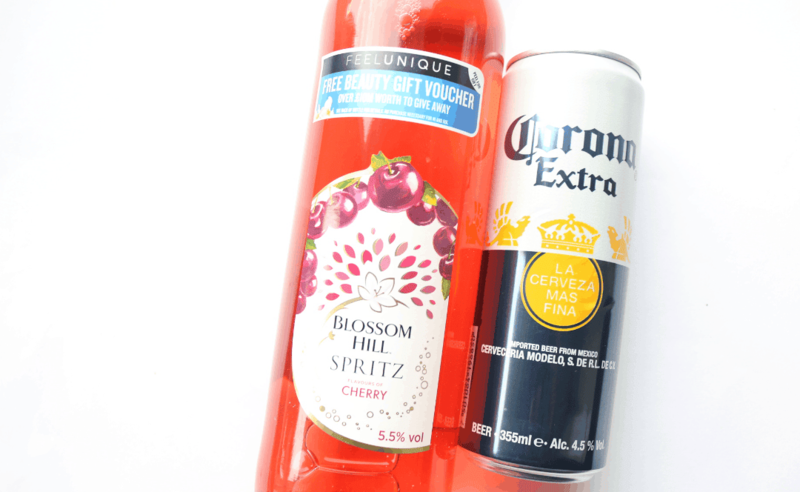 I was kindly sent the alcoholic box which included a bottle of Blossom Hill Spritz in a delicious Cherry flavour. 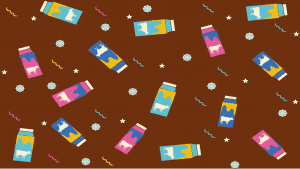 It’s very fruity and light, and perfect for the holiday season! It has a lower than usual alcohol content of 5.5%, so if you’re watching what you drink this month, this a good option for you to try out. My only bugbear is that this same wine was sent in last month’s box too – it would have been better to have received a different flavour perhaps? I also find a can of Corona Extra Beer which went down well with my one of my housemates! 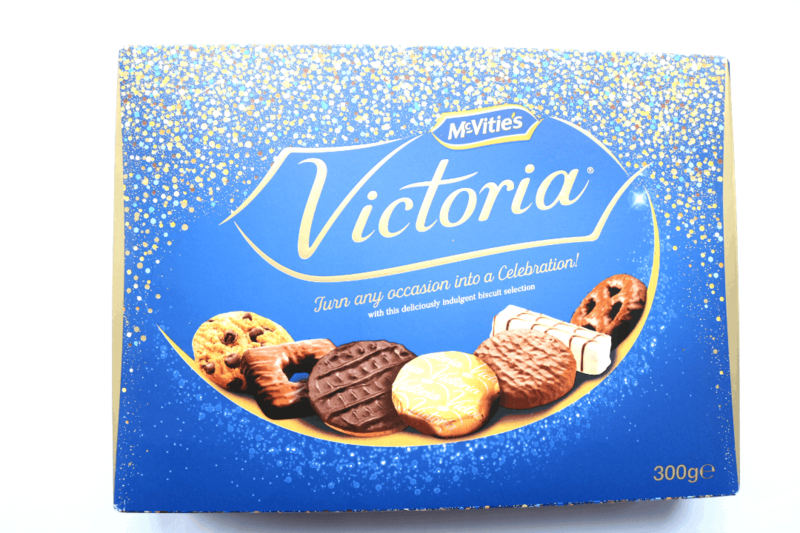 To celebrate Christmas and New Year’s, there’s a yummy box of McVitie’s Victoria Celebration Biscuits. 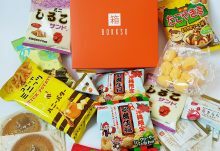 This mix includes a lovely selection of different flavours and is definitely something that will be a popular treat with the whole family. 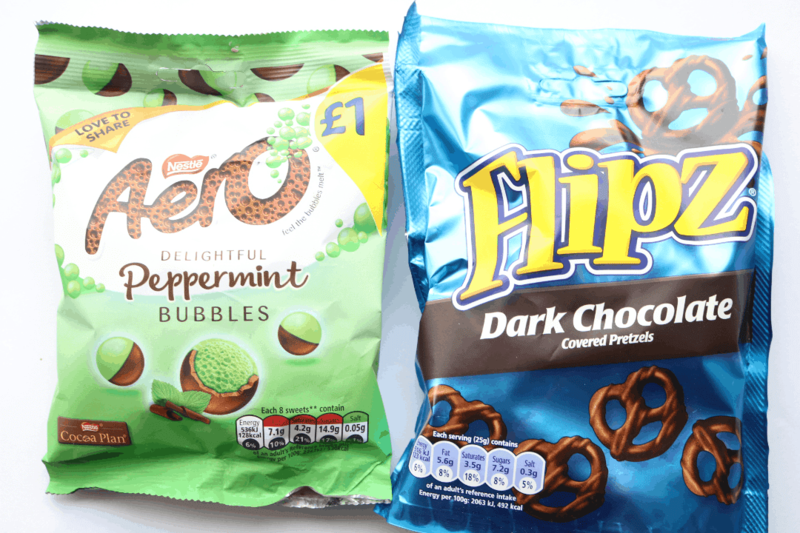 Chocoholics will enjoy this share bag of Aero Peppermint Bubbles – I haven’t had these (or an Aero for that matter) for a very long time, so this was a proper nostalgic treat for me to find! For soft drinks this month, there are two bottles included. One is a bottle of V Water in a refreshing and fruity Ginger and Mango flavour. I really enjoyed this vitamin-enriched water and would certainly pick it up again the next time that I saw it in a shop. 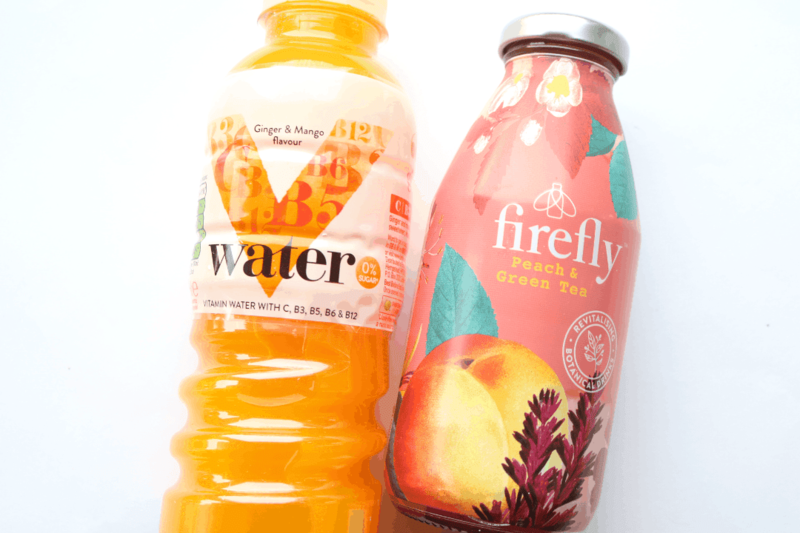 I love the Firefly range of Green Tea drinks and this Peach & Green Tea flavour is one of my faves. The packaging is beautiful and I also love that it comes in a glass bottle which is much better for the environment than plastic. 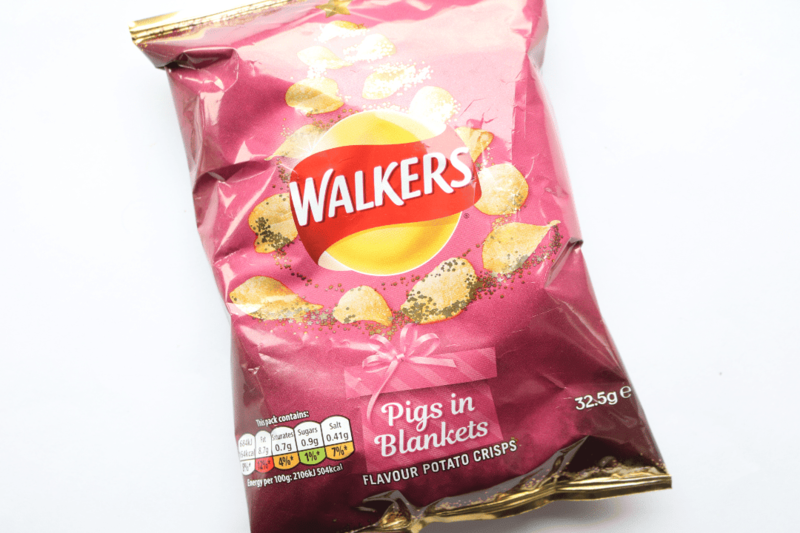 The final product is a bag of Walkers Crisps in their seasonal Pigs In Blankets flavour which is similar to Smoky Bacon. They’re very tasty and moreish, though I’m a little disappointed as this is another product that was also featured in last month’s box. 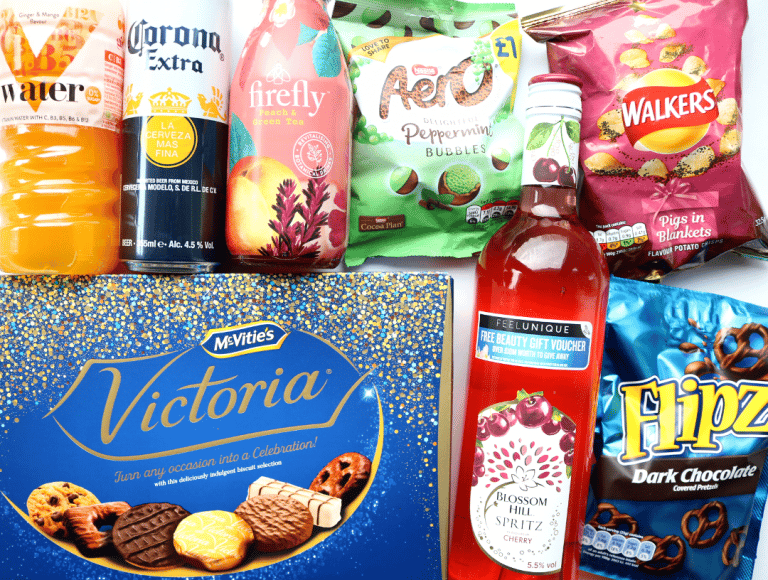 Aside from the Corona Beer, I liked everything else in the box, but I would have loved more variety as there were a couple of repeat products that have been recently featured in previous boxes.